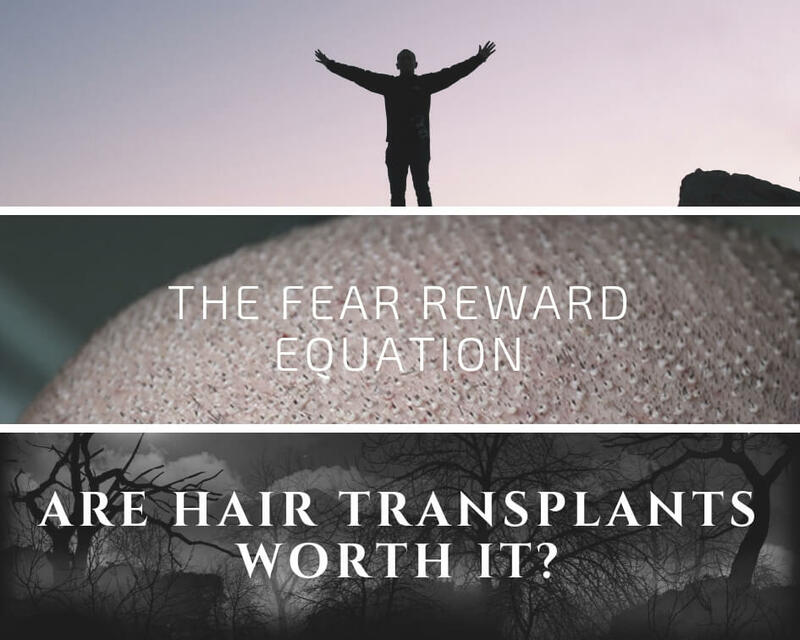 Are hair transplants worth it? This question is reasonably popular among folks who are just beginning their hair transplant journey. We are all the same; the cost-effective ratio is our defensive wall against all the chaos out there. Naturally, marketers out there will try their best to sell you their product or service. And you will want to protect yourself by making your calculations. What we have discovered so far is, if you find your ideal surgeon, hair transplants are worth the trouble. Probably by now, you have realised that any time you consider buying something, your brain starts using the same protocols. There is an equation coded in your mind which is a guide for the decision-making process. This equation is straightforward, for the price offered, will the product I purchase solve my problem? This is the simple cost-effectiveness equation. When the price starts to increase and surpass the limit, your attention rises as well. The value of the product changes for you. Therefore you compare more things. On top of that, your emotions begin to affect your decision. It is no longer a simple equation, but a balance of many different factors. Hair transplant procedure is a costly method of restoration. Not only financially, but also time and energy-wise you will have to invest a lot. Naturally, it will be harder to maintain the balance while making the calculations. Especially fear and panic will challenge your reasoning and increase the possibility of a mistake. This is very normal. While surfing through forums and websites, we have seen a lot of negative reviews. Specifically, some clinics and individuals target these feelings. Naturally, it is easier to sell you something when you are emotional. The panic and fear lead to the need for a fast solution. To tackle the uncertainty and negative emotions, individuals become more eager to choose something to feel better. Eventually, they end up devastated. The most important thing is, understanding that it is not only the marketers fault but you have some degree of responsibility in this as well. Because they offer you something and try to make you feel overwhelmed. If you can stay calm and process everything with optimum speed, you will dodge their offers. However, if you let your feelings disorient your reason, you will only feel good for a brief while. It comes to the second aspect of psychology. Individuals tend to feel negative once their initial perception or decision is negative. Similar to hotels where if the door person smiles and acts sincere, your overall satisfaction from your stay will improve. But if the person is not kind and welcoming, even when everything else is perfect, you won’t feel comfortable. So, if your first decision comes from negative emotions rather than your reasoning, your overall experience will likely to be less favourable. Unlike letting emotions get in the way, relying on your reasoning will improve the outcome. The first step is awareness of the threats. Once you start reading different sources, it is useful to remind yourself each deal may be a trap. As a result, instead of falling for wrong deals, you can keep searching and learning more. The second step is, giving this process some time. A lot of people jump to the last step and finalise their decision. If you are investing this much, it is wiser to take the process slower. You can even look back to your history. How many times have you rushed and regretted the results? Maybe you bought a car and realised there was a better option or deal. Or maybe you bought flight tickets and found out there was a better option on the other website. In these cases, not relaxing hurts you the most. We know that you have waited a very long time and it took a lot of courage to finally make this decision. But it won’t hurt to wait just a little longer. Because the answer to the first question is partially this, hair transplants are worth it if everything goes smooth. The first scenario is what we see the most in the industry and will implement real experiences in it. And the best part is, you are the lead character! You have decided that your hair loss stopped and it is time to change the way you look. That has been bothering you for so long. That’s why you are excited to have started. You asked a bunch of people around and then surfed the internet. You have seen a lot of names and clinics. You have realised a lot of countries offer alternatives. You checked the forums and witnessed a lot of different opinions about the same subject. You are confused. There is chaos and uncertainty. You want to make the right choice, but you don’t know who to trust. 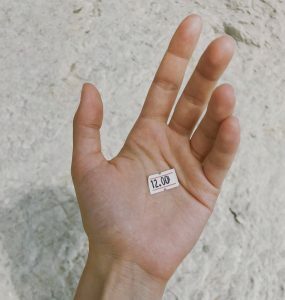 For some reason, a very cheap deal catches your attention. Although you see both positive and negative things, the deal is too good. Somethings are bothering you, but you still choose to take the deal. The more you read and search, the more confused you get anyways. And now you felt for the first time that you are losing your will to have the hair transplant surgery. That’s why you instinctively rush and book your procedure. The second scenario is what we usually see every day in positive hair transplant experiences. Now everything has begun the same. You have received an offer from a clinic. You liked it but decided to keep looking around. You thought “If they offer this now, they will offer it again somewhere else.” You kept looking at different surgeons’ websites and reviews. Finally, you have seen something that matches what you need and want. You asked for a consultation. After consulting different clinics, you have successfully figured out what would be the best strategy for your situation and what you exactly need. After considering your options, you have chosen a surgeon that fits what you want the best. Now, if we ask you if it was worth to have hair transplants, what would be your answer? For each scenario, you must have felt two different emotions. 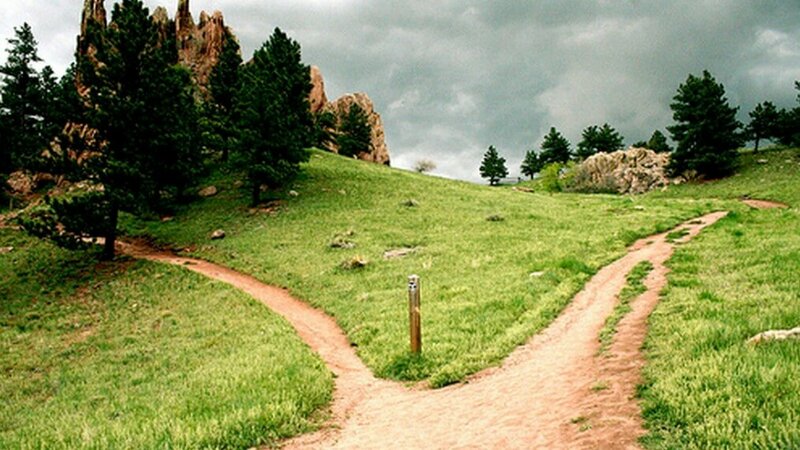 When you fantasised both paths, which one is more likely to get you to what you want? If the question is, “In which scenario you think you will end up satisfied?” what do you think your response will be? Both answers would depend on the strategy you have. Your plan comes from your logic. Therefore, hair transplants are worth it if you use your logic and stay calm while evaluating different options. Visualising your path and asking yourself questions is essential for achieving the best possible outcome. And that is only possible if you have enough information. Without the knowledge, you will be blind in this journey. Eventually, you will lose your way, and that is less likely to get you to your goal. The typical story behind a successful hair transplant procedure is about the logic. It is challenging to stay focused on this journey. We know this is different than buying a car or flight ticket. A mistake of purchasing a ticket, you will lose money or time, but the way you look will remain the same. But if you make a mistake choosing your hair transplant surgeon, the consequences might be permanent. Don’t worry; you can always have a second or third surgery to fix the initial error. However, the whole point of why we exist is to help you avoid making that first mistake. Because if you avoid that first mistake, there won’t be a second time. In the end, it will be worth having hair transplants. 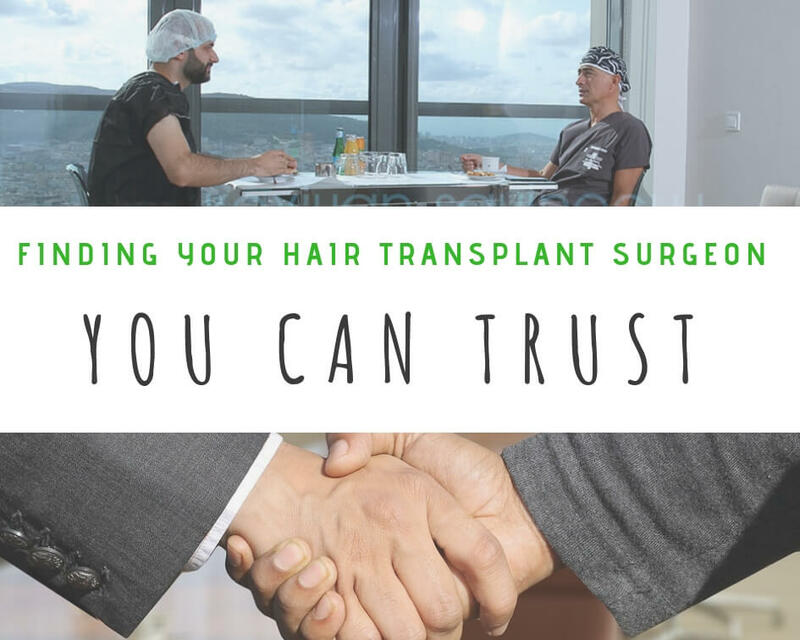 Earlier in the article “How To Find A Hair Surgeon You Can Trust”, we provided information about how we found our doctor we recommend. You can read the article to understand our logic and use it to create your own. Our strategy was finding a doctor who is professional and caring. Because we knew if he is professional, he won’t do anything to jeopardize his profession and career. If he is caring, then we know he will do whatever necessary to show the same level of service to each patient. In the end, each patient will remember their hair transplant journey as a good memory. That is how we want to be recognized. Our strategy will be different than yours because our needs are different. If you start your research by identifying your needs, you will be closer to success. You need to have hair transplants for the lowest possible price; then you will follow that path. If you need the most natural look, you will try to make decisions based on that. But in either way, your chance of success will improve because you have identified your need in the beginning. If you have successfully determined your needs, all you need to do is finding the surgeon who respects that. Trust comes from mutual understanding. It might be difficult for you to be sure if your doctor is from another country because of the distance. We have prepared a checklist for this instances. I know what I want from the procedure and am perfectly capable of telling it to anyone. I checked the reviews of valid forums and websites to make sure there is consistency. My consultation e-mail is very detailed, clearly explains what I want and asking how it can be done. The pictures of my hair are attached in the e-mail, and the photos show different angles. My surgeon has agreed to deliver what I want, at the price we agreed, and the way I want it. Surgeon’s explanation matches with what the other doctors said about my case. Received confirmation about the method, cost, and person performing the surgery. Completing this checklist doesn’t mean everything is going to be excellent. It does not guarantee success; it improves your chances of achieving your goals in your journey. However, if you have everything checked here, you have a very decent chance that it will be worth it in the end. The most important aspect of all these is communication with the clinics. You are making a deal with your surgeon, and it is essential that both parties fulfill their responsibilities. In this sense, your e-mails are physical proof of your agreement. If there is nothing vague on there, you will have more confidence in your commitment. But if things like graft number or who performs the surgery are uncertain, you will have less chance of fixing problems. Therefore, it is essential that the whole conversation is clear and confirmation present. No one would want to take a chance with the agreement. That is why if you read it carefully, you will quickly notice if a doctor’s responses are honest, or there is something fishy about it. This article can alone help you succeed to spot any ambiguity and save you from a lot of trouble. Staying calm and following a step by step approach is beneficial. It doesn’t have to be our way; please find your way because you know you the best. We try to provide a roadmap which is easy to convert for each unique situation. With some luck and research, you will have everything the way you desire and will be able to say hair transplants are worth it.